Birthday / Age / Date of Birth / DOB As of 2019, she is around 26-27 years old. Chelsea Ambriz is a meteorologist who was worked for a number of American TV networks. Chelsea grew up in suburbs of Indianapolis, Indiana. As a child, she was always interested in science. The documentary How the Earth Was Made started her initial interest in weather. Education : She attended Purdue University & got her Bachelor of Science degree in atmospheric science (Graduated December 2014). She also has has a Minor in communications and certificate of global entrepreneurship and innovation. As a student, she joined Purdue’s Meteorological association and did forecasts for the athletic department, local radio stations, and the Indiana Department of Transportation. During her studies, she was the reporter and biweekly cohost for video magazine Fast Track (Purdue news team) & interned for WISH-TV in Indianapolis. She completed a Research project for Red Cross developing algorithm to track tornados. 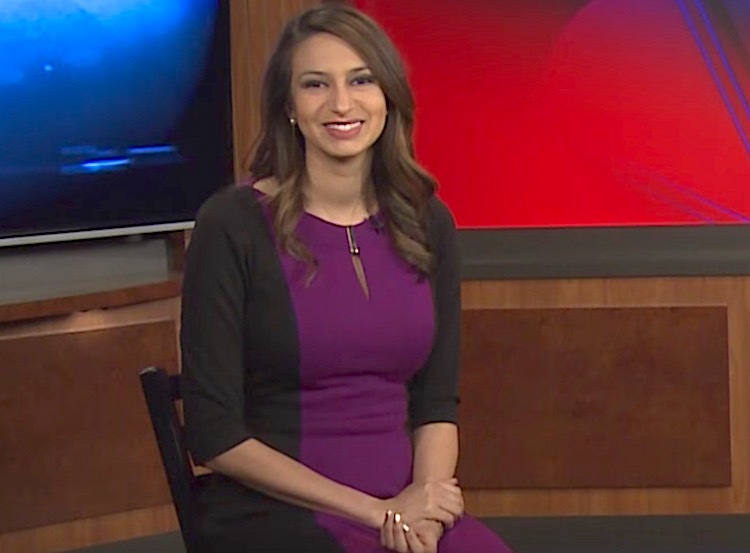 Chelsea has worked aas Weekend broadcast meteorologist for WBBJ-TV in West Tennessee & as a on-screen Meteorologist at WSAZ-TV in Charleston/Huntington, WV. Enjoys painting, playing tennis, and loves to travel. Has a cat named Bert, whom she describes as old and fat. Passionate about the environment, economic empowerment, disaster and humanitarian relief, and science and technology. Marriage & Wedding / Husband / Dating / Boyfriend No confirmed information on this.